The nose is vibrantly complex. At first it just alludes to sweet and salty flavors but after sitting for a while a myriad of other scents come through: plums, apples, pears, salty sea air, vanilla, and citrus (after adding water). The palate is very nice but the nose doesn't transfer entirely; apples, sherry, salt, spice, and vanilla stand out. Adding water dilutes the sweetness from the apples and makes it almost malty. The finish is smooth, slightly salty and somewhat spicy. An excellent whisky with a salty maritime quality throughout. Intense nose and great price for a 21 year, a step up from the 17, but better value with the 12 year old offering. complex maritime malt. aged well. iodine and salty oak. some disturbing glue. a kind of oily nut smell opening on white fruits and small honey. Beautiful bottle with perfect complexity and flavours. Ripe fruits and Nice Vanilla from the oak. Very impressive and well made. 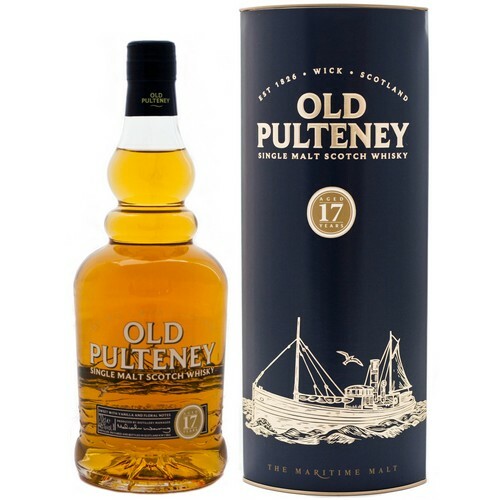 An excellent whisky with a fruity, yet maritime complexity. salted raisins, espresso, cooked pear, leather, blackberry marmelade and hints of furniture wax. smoked, caramelized nuts. Spicy butterscotch and salted red fruit. Cinnamon and red Vermouth with a touch of honey. The medium to long finish ends with bittersweet notes of sherry and oak. Tannins leave a dryish, salty mouthfeel.